The navy stopped the boat on Sunday and detained the 93 people, who said they had come from the Thae Chaung camp in the Rakhine State capital of Sittwe. Authorities in Myanmar have seized a boat carrying 93 people, apparently, Rohingya Muslims, fleeing displacement camps in western Myanmar's Rakhine State and hoping to reach Malaysia, an official said on Tuesday. Moe Zaw Latt, director of the government office in Dawei, a coastal town in southern Myanmar, said fishermen had reported a 'suspicious' boat to authorities. "They said they ran away from the camp. They said they intended to go to Malaysia," said Moe Zaw Latt, adding authorities were preparing to send them back to Sittwe on Tuesday. The U.N. refugee agency has said Myanmar must 'address the root causes of displacement', including the lack of citizenship for the Rohingya, who consider themselves native to Rakhine State. 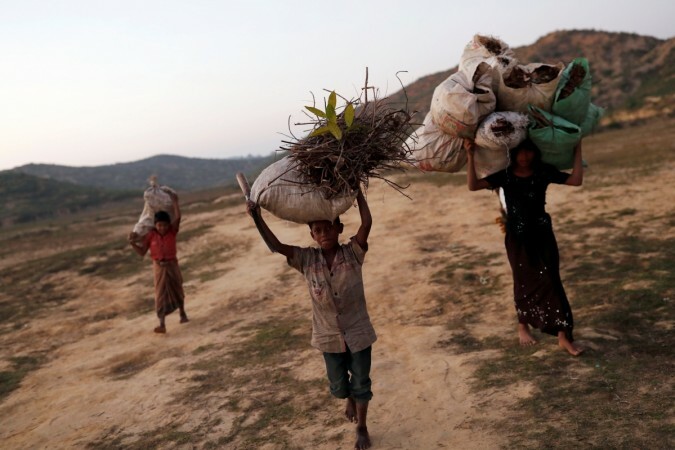 U.N.-mandated investigators have accused the Myanmar army of 'genocidal intent' and ethnic cleansing. Myanmar has denied most allegations of atrocities, blaming Rohingya insurgents who attacked police boats for sparking the exodus.